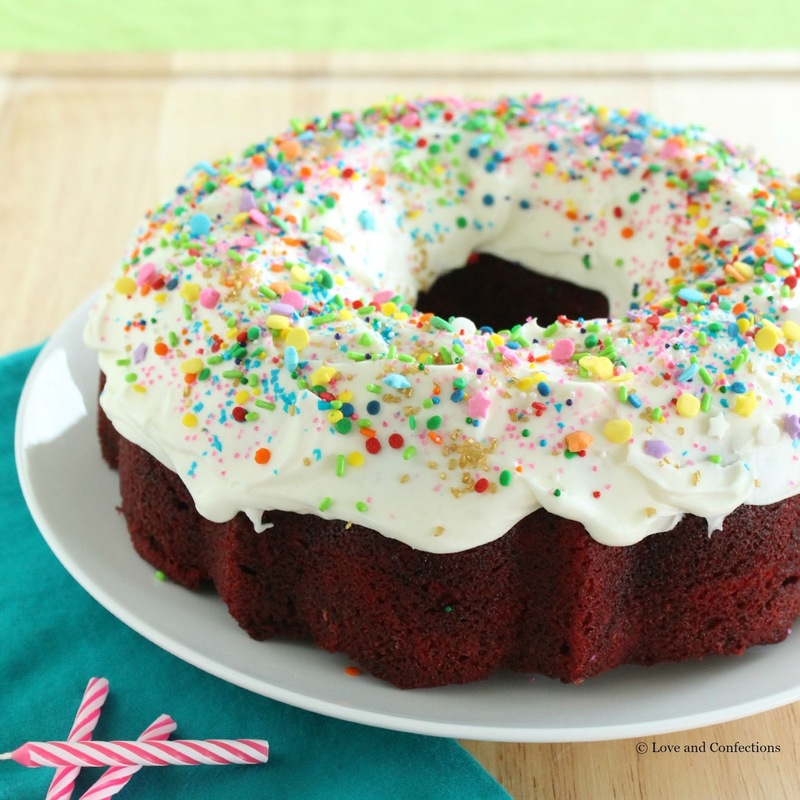 Red Velvet Sprinkle Explosion Bundt Cake – red velvet cake topped with fluffy, rich cream cheese frosting and strewn with a barrage of sprinkles is a fun and scrumptious cake for any occasion. Yay! 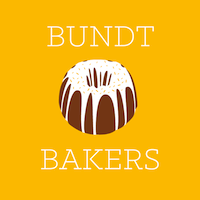 It’s time for #BundtBakers again. 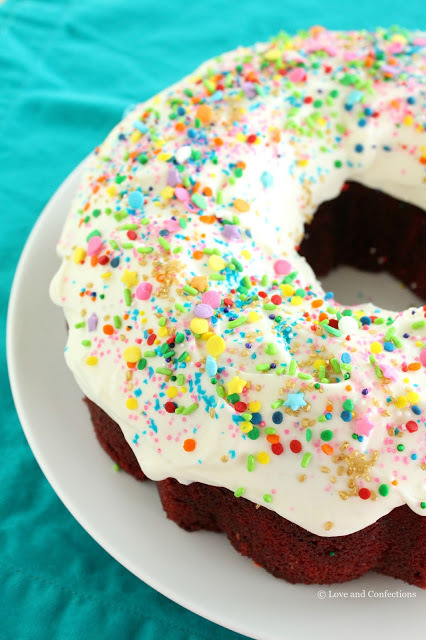 Today I am hosting Bundt Bakers and since I recently celebrated my birthday, the theme I chose for this month is “Sprinkles”. I love sprinkles – all shapes, sizes, and colors! There is always a running debate in my house about which is better: rainbow sprinkles or chocolate jimmies. I’m partial to the rainbow sprinkles, even though I do like the chocolate ones too. 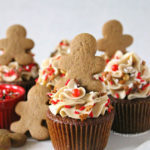 As a pastry chef, cake and cupcake decorating is always a big part of my life. I love color coordinating sprinkles for holidays and themes. Because of that, I have amassed a large collection of sprinkles, and it is slowly taking over a reasonable space in my pantry. But who can blame me? Sprinkles are that awesome! You might think the amount of sprinkles on this cake is a bit overboard, but there’s a story behind it. One of my all-time favorite birthday cakes was in my teenage years. My mom made a chocolate-frosted marble cake. She let my little sister, KB, decorate it… uh-oh! She poured on every sprinkle imaginable. 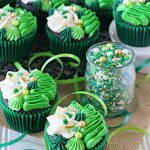 The cake was covered in all sorts of sprinkles – nonpareils, jimmies, dragées, quins, sanding sugar, and edible glitter. They topped it off with an overabundance of candles and it was one of the best and most fun birthday cakes and parties ever. 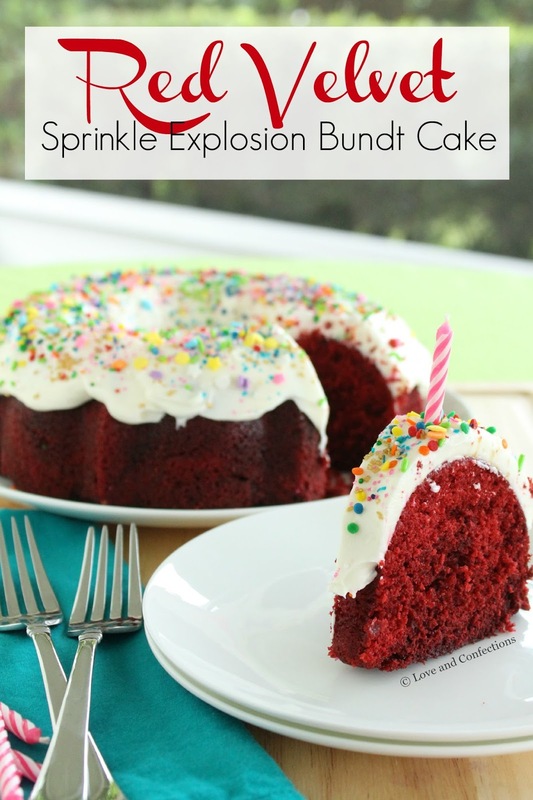 So, in memory of one of my favorite birthday cakes, I made a Red Velvet Sprinkle Explosion Bundt Cake. Next time you make a cake, add as many sprinkles as you want! Enjoy! 1. Heat oven to 350F with rack in the center. Prepare bundt pan with baking spray and set aside. 2. In a medium mixing bowl, sift together the Cake Flour, Salt and Dutch Process Cocoa Powder. 3. In the bowl of your stand mixer, beat the Butter with the whip attachment for 1 minute. Add in the Sugar and scrape down the sides and bottom of the bowl before mixing in the sugar. Beat on medium for 3 minutes, until the mixture is light and fluffy. 4. Add the Eggs, one at a time, and scrape the bowl after each egg. Add in the Vanilla Extract and mix to combine. In a medium measuring cup, whisk together the Buttermilk and Red Food Coloring. 5. Add the flour mixture into the butter mixture in thirds, beginning and ending with the flour, and alternating with the buttermilk mixture. Once mixed, use a spatula to insure that everything is incorporated. 6. Have the Baking Soda prepared in a small bowl. Add the Vinegar to the baking soda, give it a quick stir, and pour into the batter. 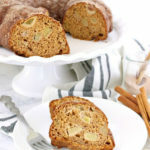 Fold the mixture into the batter, then immediately pour it into the prepared bundt pan. 7. 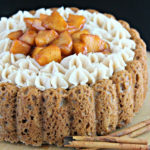 Bake for 35-40 minutes, or until a cake tester inserted into the center of the cake comes out clean. Let it cool in the pan for 10-15 minutes, then turn it out onto a rack to cool completely. 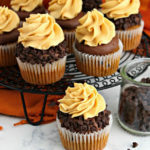 If not frosting right away, wrap it and frost the next day. 1. With your stand mixer, beat the Cream Cheese until smooth. Add in the Vanilla Extract and slowly add the Confectioners’ Sugar. Beat it slowly until the sugar is combined, then beat on medium until smooth. 2. Switch to the whisk attachment and add in the Heavy Cream. 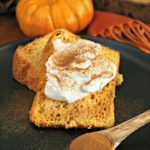 Whip it slowly at first, to incorporate it, then whip until the frosting is light and spreadable. 3. 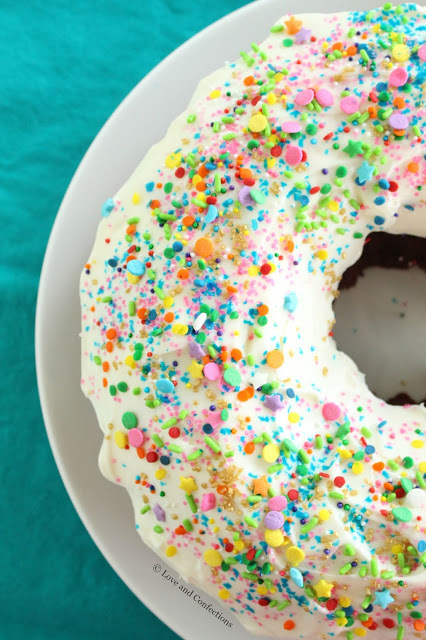 Spread or pipe onto cooled bundt cake and top with sprinkles! A red velvet always work!! What a fun memory of a sprinkles cake. Besides, if you like sprinkles, why just use one kind. Go for it! I'm of the more is more school of cake decorating but I must admit I usually only add one kind of sprinkle. WHY?! I'm going to take your advice next time, Terri. Thanks so much for hosting this fun theme! 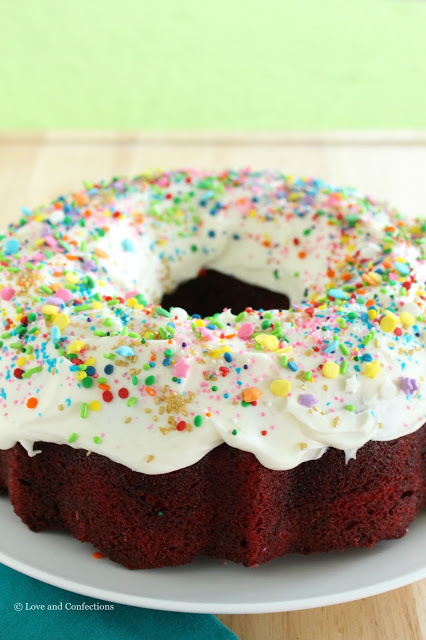 I actually tried to count the number of different types of sprinkles you have on that Bundt. Wow. I sprinkled just a few and thought I had too much. How wrong I was. So very wrong. Thanks for hosting! I never make red velvet cake and it is so impressive when I see it. I also love all your wonderful sprinkles! 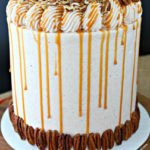 I love all the different sprinkles used for decorating this cake. How fun! What a lovely use of multiple sprinkle types! An interesting combo with red velvet (one of my all time faves)! Thank you for hosting and selecting this month's theme. I quite enjoyed it! Fun cake! Love the contrast of the red velvet color and the explosion of sprinkles. 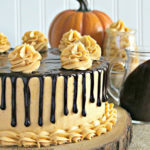 Very beautiful cake…. Belated birthday wishes, and thanx for hosting with this yummilicious theme. Hey Terri!! Thank you so much for being the hostess with the mostess this month! It has been such a pleasure and I had a ball creating my bundt. Happy belated Birthday to you! I do NOT think the amount of sprinkles is overboard. At all. 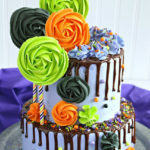 And I LOVE the mixture of different sprinkles on the cake, so fun! Thanks so much for hosting this month and coming up with this fun theme! I don't think you can ever have TOO many sprinkles!! !